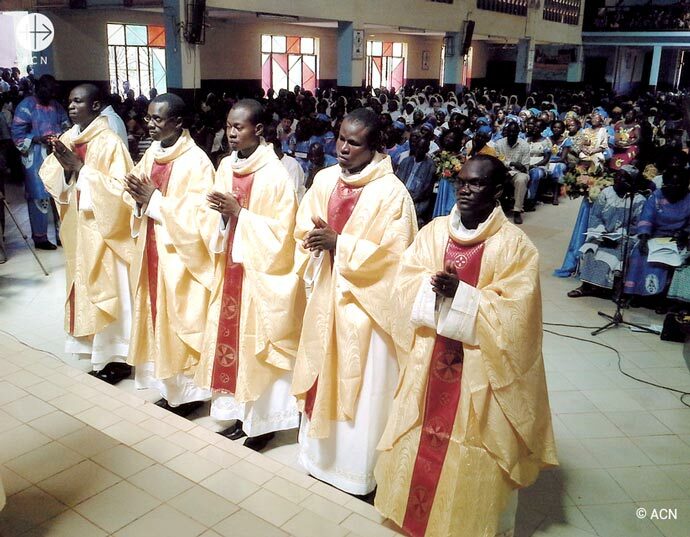 An interview with Bishop Raphaël Dabiré, President of the Episcopal Commission for the Clergy and Bishop of the diocese of Diébougou, in the southwest of Burkina Faso. His country, which borders on both Niger and Mali, is subject like its two neighbours to the pressures exerted by jihadist groups on all the peoples of the Sahel. Nonetheless, it can still be seen as an oasis of tolerance between the various religious communities. Christians account for 23.9% of the population, whereas 54.2% is Muslim and 21.3% animist. 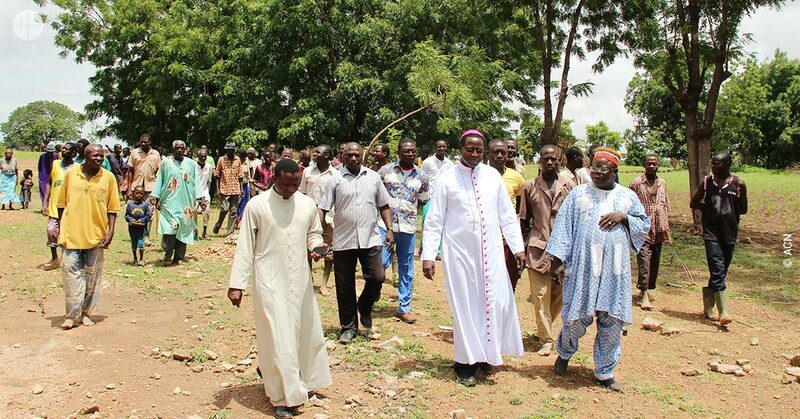 Bishop Raphaël Dabiré, President of the Episcopal Commission for the Clergy and Bishop of the diocese of Diébougou, in the southwest of Burkina Faso. Our country has a tradition of religious tolerance which we do our best to maintain. I am regularly invited to the religious celebrations of the other communities. For example, on the most recent feast of Ramadan I went, at their invitation, to a Muslim place of prayer. I did not take part in the sacrifice of the sheep, but I shared their joy with them and wished them a good feast. In the same way the imams and the customary chiefs are invited to our Catholic Mass on the major feast days, and they join in a part of the celebration, generally leaving at the moment of the homily. These are symbolic acts of presence, accompanied by little acts of recognition as expressions of fraternity among us. When a priest dies, to give you another example, the imams never fail to express their sympathies to me. This familiarity enables us to approach each other’s religion without any taboos, and even with a degree of good-natured irony. I think that the good relations between the communities in my country can be explained to a large extent by what we could call the propensity for teasing. It involves taking the liberty of making good-natured fun of my neighbour’s religion, on the understanding that he will do the same in regard to mine. Sadly, no. Our capital city was attacked by terrorists last March, leaving around 30 people dead. The police and military are regularly attacked by jihadist groups, using antipersonnel mines and in organised ambushes. Naturally, the cowardice and violence of these attacks affects us deeply. Three weeks ago certain individuals smashed the statue of Our Lady in a church, along with four other statues. They left a somewhat enigmatic message, giving to understand that Christians should not worship statues. During the Mass of reparation I urged my parishioners not to jump to hasty conclusions. We should leave it to the law to do its work. This act of desecration was an isolated act, fortunately, and I hope it will remain that way. 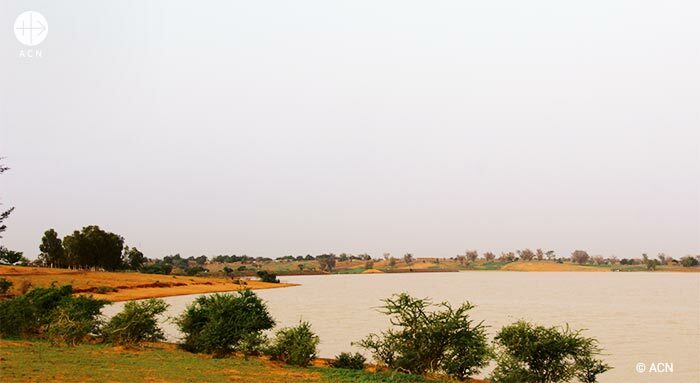 A landscape in the Sahel : water, the most precious natural resource in the region. It appears to me that the economic situation is stagnant, and I’m afraid that, once again, it’s the actions of the terrorists that have a lot to do with it. They discourage investors who might otherwise take an interest in our country. Youth employment in particular is a major cause for concern. Our community is fervent in its faith. The churches are filled, from Saturday until Sunday evening, and we have a very lively liturgy. There are plenty of priestly vocations, and plenty of demand for baptism. But we have to remain vigilant and accompany this fervour. We need more catechists, and we need more resources to support our seminarians. A huge thank you. Thanks to the support of your association we are dealing precisely with this great need for education, among our young Christians. You are supporting us in building the essential infrastructure, such as the seminaries, the parish offices and catechetical facilities. You have also helped us obtain vital means of transport, including bicycles, mopeds and cars, which are essential in many of our far-flung parishes where it is absolutely crucial to enable the priests and catechists to reach the people! 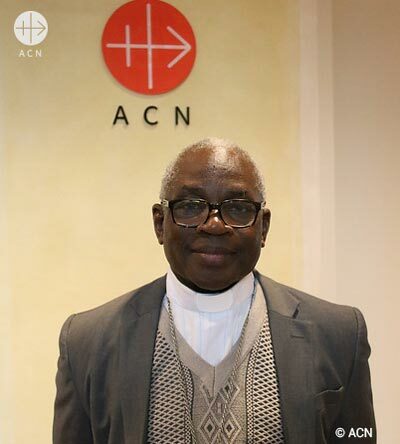 Thanks to the generosity of its benefactors in 2017, the pontifical foundation ACN supported more than 60 projects in Burkina Faso for a total of almost 750,000 Euros.